As seen on my previous post, I finally have an update for all you pretty readers. Today I'll be doing a review on the Elizavecca Milky Piggy Carbonated Bubble Clay Mask! I know this mask have been in the market for a while now and I'm only doing the review now but I do have a reason! LOL! My skin wasn't in the greatest condition when this mask was released. Now that my skin is in a better condition, I'll be trying it out! Do take note that this product is NON HALAL! 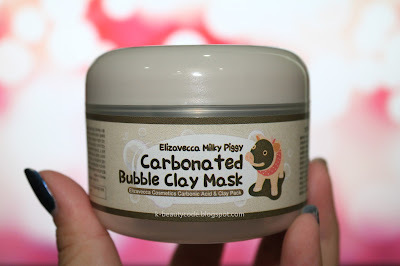 Elizavecca Carbonated Bubble Clay Mask. With the hype going on around the beauty industry, let's see if its really that great of a product. - It comes in a small grey container. - 100 ml worth of product. - I quite like the simple packaging and the piggy with the mask on. LOL! - The expiry date and manufactured date can be found on the bottom of the container. - It has a small spatula and a tight plastic lid over the mask. 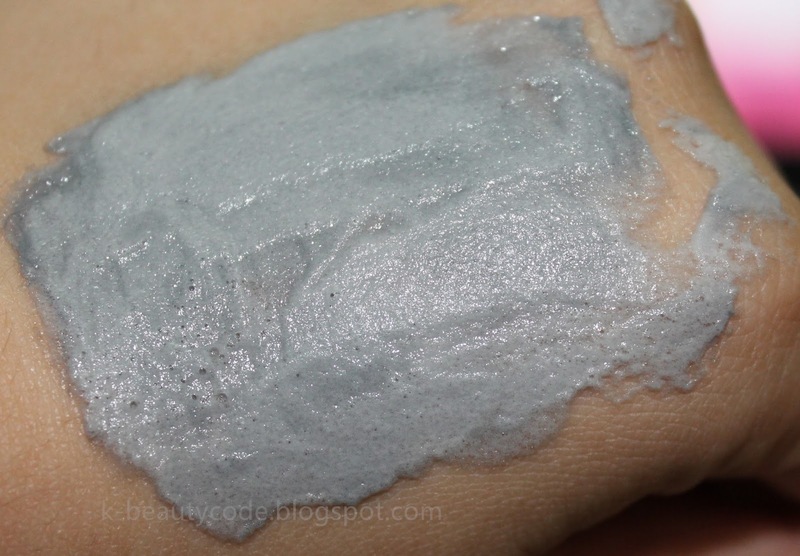 - It's a greyish slimy cream type mask. 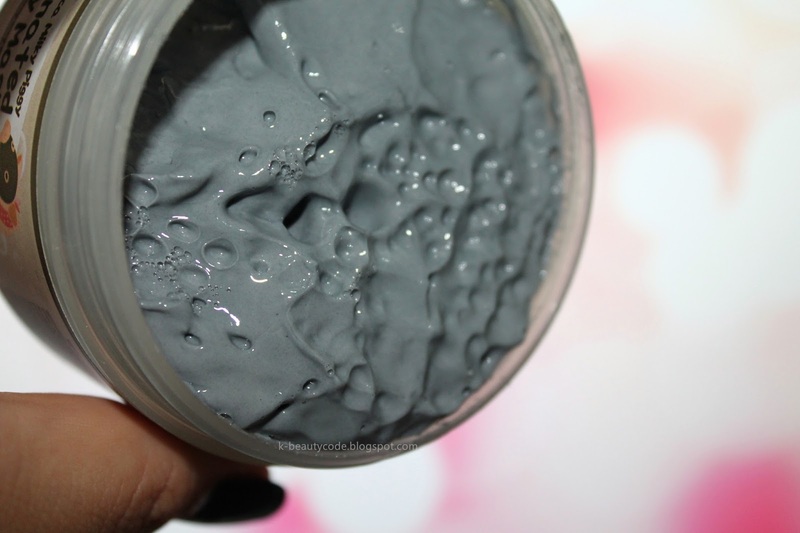 As the product page stated, this mask contains Green Tea extract, Pomegranate extract, Charcoal Powder, Collagen, Glycerin. It pulls out dirt and oil from pores. - The carbonated bubble unclog pores and removes dead skin. 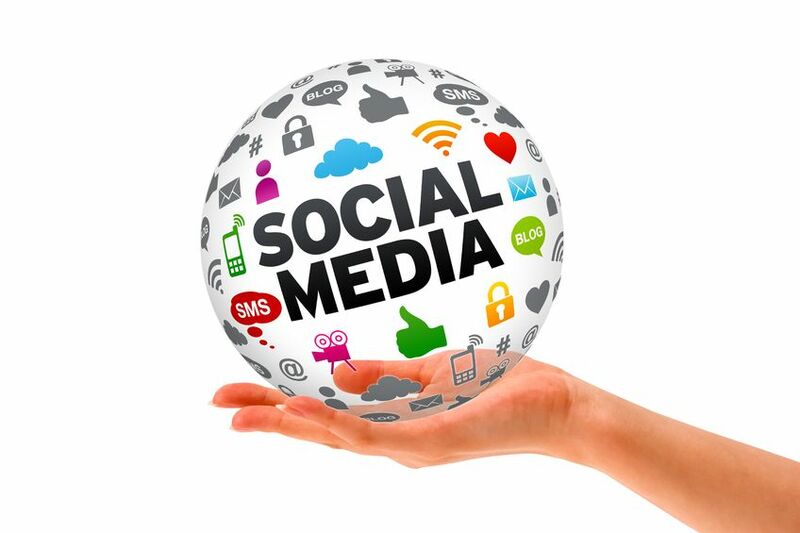 - The carbonated bubble helps to stimulate the skin to bring out a healthy glow. - Pick up mask with the spatula provided. - Apply it all over face. Work fast. Trust me, if you work slowly the foam will start forming before you even finish covering your face. - Wait and see the magic happen. Within 20 seconds, small fine bubble will start forming. It's so interesting watching the bubbles form. 1 minute after application. As you can see the bubbles started forming, you can hear the bubbling fizzy happening around your skin. You can feel the tingling sensation around your whole face as the bubble keeps growing. After 5 - 10 minutes, run fingers under warm water and rub onto skin. Massage for a minute and wash your face as you would with a cleanser. It's not what I expected. I initially thought that the bubbles would be fine and soft but it's actually sticky. It turns into a soapy feel once massaged with warm water. I'm not quite sure what the smell is but it smells like a sweet fruity smell. Not too bad. Once applied, you can feel a tingly sensation just like drinking sprite or coke. I have a very sensitive skin so I was hesitating whether to try on this product or not. However, thank god my skin did not react badly to the mask. I did not get any redness or itch on my face. It has the same feeling as dipping your face into carbonated water. However! It is a hassle washing it off. It is sooo hard to wash the mask off. It's slippery and foamy, I had to use cotton wipes to remove the clay off my skin. So I think using it before shower will be a better idea. It is worth the hype? 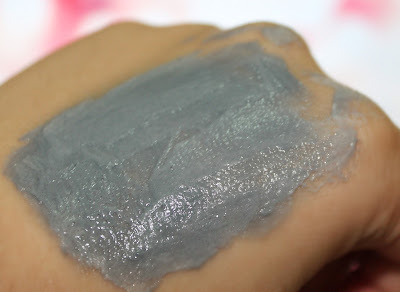 To be honest, it's worth playing around with this mask because it's so much fun watching the mask grow 5x its original size but in terms of helping the skin, I don't think so. Does it do what it claims? To be honest, I don't think the mask does what it claims to do. Removes black head? Neh, I don't think so. Gives a healthy glow? Hmmm, not really. Removes dead skin and dirt? Maybe? Not that sure, maybe I have to use it more often to see it's effect. - Fun to play with. 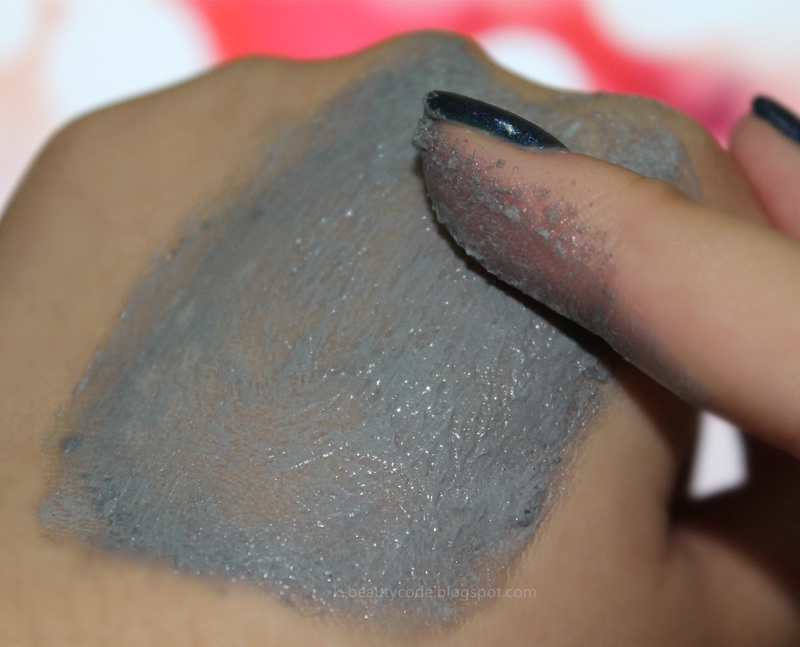 - Might not be suitable for dry skin or very sensitive skin. - Not much effect on skin. - Overrated product to be honest. I bought it for RM40 during sales in Hermo. I don't really like things in a jar. I prefer it to be in a tube but I guess for this product it works better being in a tub. I like the simple package but not the colour. Not really feeling it for this clay mask. 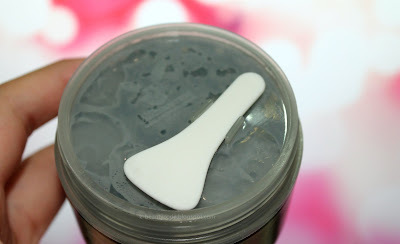 Will I repurchase this product? I don't think I will be repurchasing this product. It's worth the hype though, watching the bubble form and the tingling sensation is pretty cool. However, coming down to the benefits, I don't think it I like it that much but I do prefer the Innisfree Super Volcanic Clay Mask. 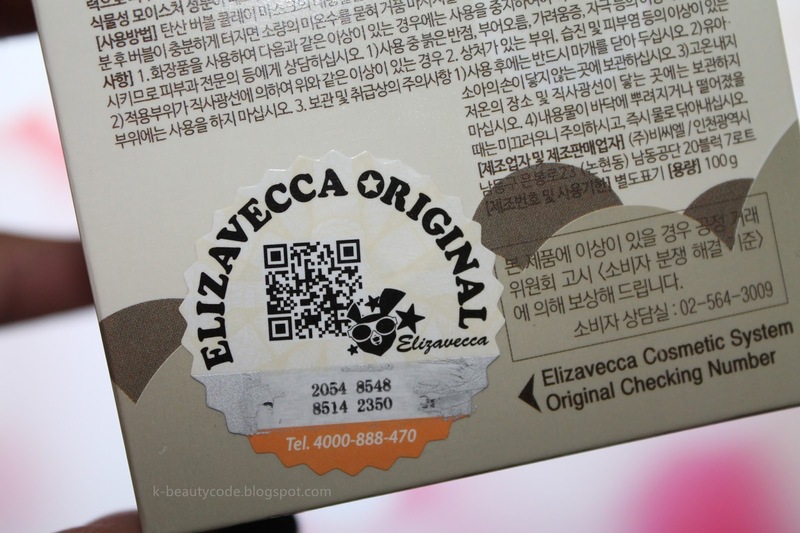 On the box, you will get a seal with a QR Code and numbers to check for originality. Gently scrape the silver part to reveal 16 numbers to check. Go to this link -> http://elizavecca.com/shop/main/html.php?&htmid=service/original_certification_eng.htm and input the numbers. *Beware of imitation Elizavecca products. 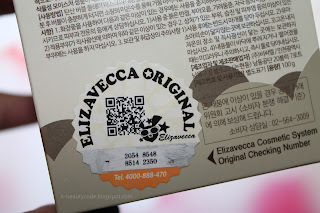 That's it for my first impression/review for my first product from Elizavecca. The above review is not sponsored by anybody and it is all my personal opinion on the Elizavecca Carbonated Clay mask. Is it halal to use.. ..can you kindly give me a answer?